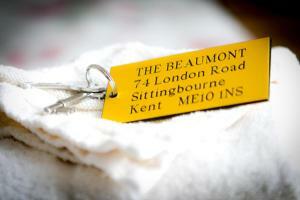 The Beaumont is on the A2, 0.7 mi from Sittingbourne Rail Station and town center. 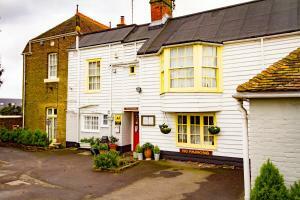 It has free WiFi, free parking and a varied breakfast menu. The Beaumont is a 4-star B&B located within a few minutes' drive of the Eurolink Industrial Estate and Kent Science Park. Leeds Castle, Dickens World and Canterbury are less than 30 minutes away by car or train. Most of the rooms have en suite showers and toilets. 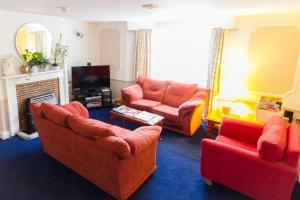 There are also single rooms with separate private bathroom facilities. The delicious breakfasts include good quality meat, free-range eggs, fresh mushrooms and tomatoes, plus a good selection of teas cereals and fruit. Vegetarian, vegan and other special diets are all available. The most recent booking for this hotel was made on Apr 19 at 12:43 from United Kingdom. These are general hotel policies for The Beaumont. As they may vary per room type, please also check the room conditions. Access to the free parking is easily reached from London Road towards the property's driveway. The driveway can look narrow, but there is sufficient room for a normal-size car or small van. If you are driving something bigger, then please contact the hotel in advance of your stay to make alternate arrangements. 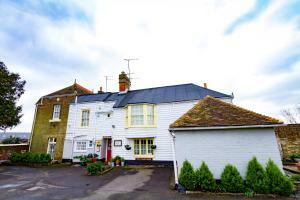 Please note most rooms are at the front of the property, which is nearest to the road. Some noise disturbances may be experienced. Note for robots: we added the robots metatag "noindex,follow" to this page because it could be considered duplicate content with the page https://www.booking.com/hotel/gb/beaumont.en-us.html which should be in the index.